THE ORWELLS - "DIRTY SHEETS"
A cinco dias da edição do álbum dos You Can´t Win, Charlie Brown, "Diffraction / Refraction" (capa na foto), levamos a banda ao mundo, através do Music Alliance Pact, com o single "Be My World", que antecedeu "After December". A propósito de "Diffraction / Refraction", os You Can´t Win, Charlie Brown tocarão no Centro Cultural de Belém, no próximo sábado, dia 18. Na compra da revista da Time Out", desta semana, encontrarão um cupão que vale, na compra de um bilhete para o concerto, outro grátis. Conceito, animação e realização por Tomás Sousa. Carregue no botão play, para ouvir as canções individualmente. Utilize o botão direito do rato, para fazer o download do mp3, ou descarregue um ficheiro com todos os temas aqui. ARGENTINA: Zonaindie Queridas - Drama Bomb Andrés Yeah is the lead guitarist of Mi Nave, an up-and-coming band from Rosario's independent music scene. Queridas is his solo project, full of songs with melancholy, reverb and shoegaze guitars. Drama Bombo is one of our favorites. AUSTRALIA: Who The Bloody Hell Are They? Head Clouds - Mirror's Image Head Clouds are a Gold Coast band who have been busy working on their debut LP for more than a year. Mirror's Image may be the first track we've heard from them but it's definitely no wallflower. Jaykke Maddison is a less erratic version of Wild Beast's Hayden Thorpe; there's hardly room for shirking away with that falsetto. A glorious trumpet crescendo and thoughtful lyricism lights up this track. A band to watch. BRAZIL: Meio Desligado Boogarins - Lucifernandis Os Mutantes, the psychedelic tropical band from the 60s, is one of the main influences of Boogarins, besides affinities with contemporary artists such as Tame Impala and Of Montreal. Lucifernandis is the opening song of their debut album, As Plantas Que Curam, released in 2013. CANADA: Quick Before It Melts Teledrome - Boyfriend Calgary, Alberta, best known as the home of an annual Stampede and being firmly rooted in cowboy culture, may be the last place you'd expect a synth-based power-pop-punk outfit to emerge from. But Teledrome is the latest cultural contradiction to come from Cowtown, and perhaps one of its finest. Boyfriend is a sample of the synth-laced solemnity offered up on their soon-to-be-released album. CHILE: Super 45 Kinetica & Motivado - Hoy Quiero Kinetica & Motivado brings together Chilean producers Emiliana Araya and Mario Martinez. Although we have previously highlighted both projects separately, their joint work deserves its own limelight. Mixing Kinetica's mysterious, nocturnal vocals with Motivado's tropical beats, their collaboration gives rise to sensual, intelligent electronic music. Their first single, Hoy Quiero, was released on Chilean label Discos Pegaos. COLOMBIA: El Parlante Amarillo El Otro Grupo - Balada Pop From Santa Marta, near the Atlantic coast, and Sierra Nevada come this trio of very young members who are ready to unleash their music to the world. They use the name El Otro Grupo ("The Other Group") and they make something called 'pop noise', a mix of catchy melodies and experimental sounds. You can also enjoy the video for MAP track Balada Pop. DENMARK: All Scandinavian J. Arlin - Since November J. Arlin, an Australia-based Dane, released his third EP in December, Heartbeats Of Polaroids, with five folk-rock tracks. The least folk-ish and most rock-ish is Since November, which is one of those songs that reminds you of so many others yet still carries its own weight in all its pleasing pop-rock-ness, and comes to you here as a MAP exclusive download. DOMINICAN REPUBLIC: La Casetera NUX - Criogenización Dominican hard-rock act NUX comes back into the scene with a new single. Their blasting energy is still intact after a couple years of silence, accurately singing about cryogenics, complete with mind-blowing guitar solos, war cries and haunting pauses. ECUADOR: Plan Arteria Estéreo Humanzee - Ganimedes (live) Estéreo Humanzee is one of the most active bands in Quito's indie scene. Their experimental music combines different elements of house, pop and electroclash. With three albums under their belts, Estéreo Humanzee's next release is a new live record of their European tour. ENGLAND: Drowned In Sound Her Name Is Calla - The Roots Run Deep For several years, Leicester's Her Name Is Calla have been an evolving beast of a band. They've always had a darkness and grandness to their post-rock walls of wailing guitars painted with serpent-slaying strings, but this first taste of their forthcoming album Navigator hints that even with pixellated digital landscapes they can still cast a shadow over your soul. FINLAND: Glue June's Garden - Song Of A Drinking Man Five-piece band June's Garden find inspiration in traditional Americana to deliver smooth acoustic rock with Finnish sensitivity. New single Song Of A Drinking Man is also available via Bandcamp with a B-side. FRANCE: Yet You're Fired Bloum - Faith Bloum is a young electro-pop band from Paris who are quite new to the French scene. After releasing several singles in 2013, they are ready to drop an album in the forthcoming months. Influenced by artists such as Four Tet, Burial, XXYYXX and Nicolas Jaar, they've inherited from them cold, heavy basslines. On Faith, the band sounds like a crossover between Kavinsky and Miss Kittin, and that's enough for us to keep an eye on them. INDIA: NH7 As We Keep Searching - The Tattva Not much independent music comes out of the state of Gujarat, so when As We Keep Searching sprouted out of nowhere a month ago with The Tattva, we just had to bite. The post-rock/ambient three-piece are in the process of releasing a slew of singles that will culminate in their debut album. The Tattva, with easily relatable lyrics in Hindi, talks of a search for love. As We Keep Searching have promised songs full of emotion, and they've delivered. INDONESIA: Deathrockstar Protocol Afro - Electrified Protocol Afro consist of six young guys who love Two Door Cinema Club, Phoenix and other good music to dance to. They have opened for several international acts and are one of the most hard-working indie-rock bands in Jakarta. ITALY: Polaroid Fitness Forever - Hotel Flamingo Naples act Fitness Forever have just released their second album Cosmos, once again on the legendary Spanish label Elefant Records. Between Burt Bacharach and the 70s soundtracks of Piero Umiliani, a disco touch and the poetry of Lucio Battisti, I wanted to start the new year with music that makes you feel optimistic. JAPAN: Make Believe Melodies Metome - Bishop's Rising Sun The Kansai region of Japan has been a hotbed for excellent electronic music over the past few years, and it appears 2014 will see the trend continue. Metome, from Osaka, just released a wonderful new album called Objet, and the highlight is the stuttering, bouncy Bishop's Rising Sun, featuring a sliced-just-right vocal sample at its center. MALTA: Stagedive Malta Xiola - Noble Wolf Formed in 2009, Xiola is a two-piece band comprising Adolf Formosa (formerly of the bands Hunters Palace and One Dead Poet) and Samantha Gatt, who replaced her twin sister Roxanne when she left the island. With a drone guitar sound and dual vocals, they released home-recorded album Bay Of Pigs in 2012. MEXICO: Red Bull Panamérika Haciendo El Mal - Complicado Haciendo El Mal is a Mexico City-based chamber-pop quartet led by the slightly dark but mellow voices of Paulina Lasa and Karen Ruiz. Along with an accordion and cello, their melodies are bittersweet vignettes that draw a reflective mood on love and loss. Complicado (perhaps a wink to the Facebook relationship status) is just one piece of the 10 beautiful portraits that comprise their eponymous debut album. PERU: SoTB Campo De Almas - Gris Campo De Almas is a rock band formed in Trujillo in 1994. They were once one of the most prolific bands in Peru, with four albums to their name. They returned in 2013 with Adicción, a 'best of' album that reminds us of the passion and dedication of their music. POLAND: Łukasz Kuśmierz Weblog BOKKA - K&B (edit) BOKKA have been a little sensation in recent weeks. As musicians they hide their true identity, so listeners know only a few things about them - they're a trio, the vocalist is a woman and their music is influenced by Scandinavian electro-pop. You can check it out by listening to their self-titled debut LP or to stunning K&B, one of the greatest moments on the album. PORTUGAL: Posso Ouvir Um Disco? 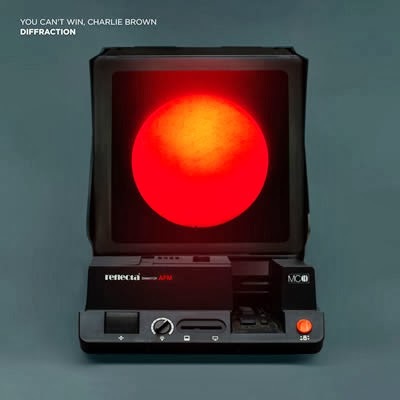 You Can't Win, Charlie Brown - Be My World After a superb and surprising EP release in 2009 revealed themselves as a must-watch band, the quartet You Can't Win, Charlie Brown are back with new album Diffraction/Refraction, which will be released on January 20. Be My World is the first single to be revealed from it. PUERTO RICO: Puerto Rico Indie Piegrande - Perez, Oso Gifted guitarist Kristian Prieto - a MAP alumnus twice over for his work as Harry Rag and as part of Alegría Rampante - brings his characteristic playfulness and adventurous spirit to new three-piece Piegrande. The debut EP of the band, augmented by Eden Cruz (drums) and Christian Robledo (bass), consists of six fun, easy-to-digest tracks, of which Perez, Oso is the breeziest. A great sign of things to come in 2014. ROMANIA: Babylon Noise Velosonics - Bebop Velosonics is a pop-rock band formed in Bucharest in 2013. Their music is primarily influenced by the 60s British Invasion movement and post-punk revival of the new millennium. Their energy and joyfulness bring a breath of fresh air to the country's indie music scene. Velosonics are preparing their debut album for release in 2014. SCOTLAND: The Pop Cop Beerjacket - Antlers Peter Kelly calls his music Beerjacket and clues of its heartbreaking beauty are plentiful: one of his earliest and best songs is called Joy For The Sad, while some bright spark even set his melancholy masterpiece Jack Chasing Jill to the devastating montage at the start of Pixar movie Up. Yet his wonderful second studio album Darling Darkness, out on January 27 via Bandcamp, is remarkably upbeat. Immaculate production allows the luminous acoustic folk-pop sounds to blossom, while enchanting opening track Antlers, here as a MAP exclusive download, ranks as a career highlight. SOUTH KOREA: Korean Indie LudiSTELO - Water Roof Electro-rock band LudiSTELO released their first single in November 2013, having formed two years ago in a Brunei hotel room. The members of the guitar-synthesizer-drums trio all have experience from other groups and are now working to show a different side of their joint sound with each release. Water Roof comes from the new single of the same title and through its many loops invokes a sense of floating in the air, just as the lyrics express. SPAIN: Musikorner Polar Beats - Keep Moving (feat. Iván Anés) Polar Beats are a four-piece from Madrid whose music is clearly influenced by British post-punk and power-pop, as you can tell by the guitar riff in Keep Moving. They have released one song so far, but they are planning to bring out some more since they are here to stay. UNITED STATES: We Listen For You Diane Cluck - Sara Diane Cluck delivers chilly folk tunes just in time for the harshest winter months. Her voice trembles against a confidently plucked acoustic guitar and explodes with shattering emotion at all the right moments. Realização / Directed by: Clay Tatum, Whitmer Thomas.